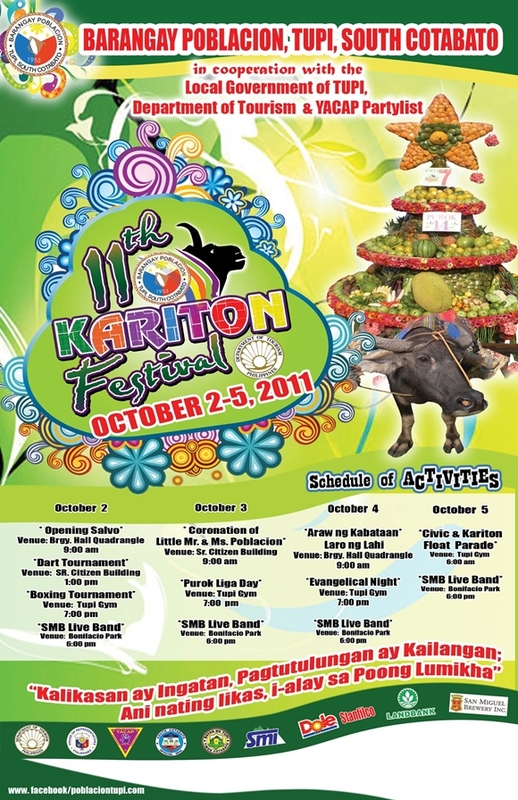 The progressive Barangay Poblacion in Tupi, South Cotabato celebrates the 11th Kariton Festival this week , October 2-5, 2011. 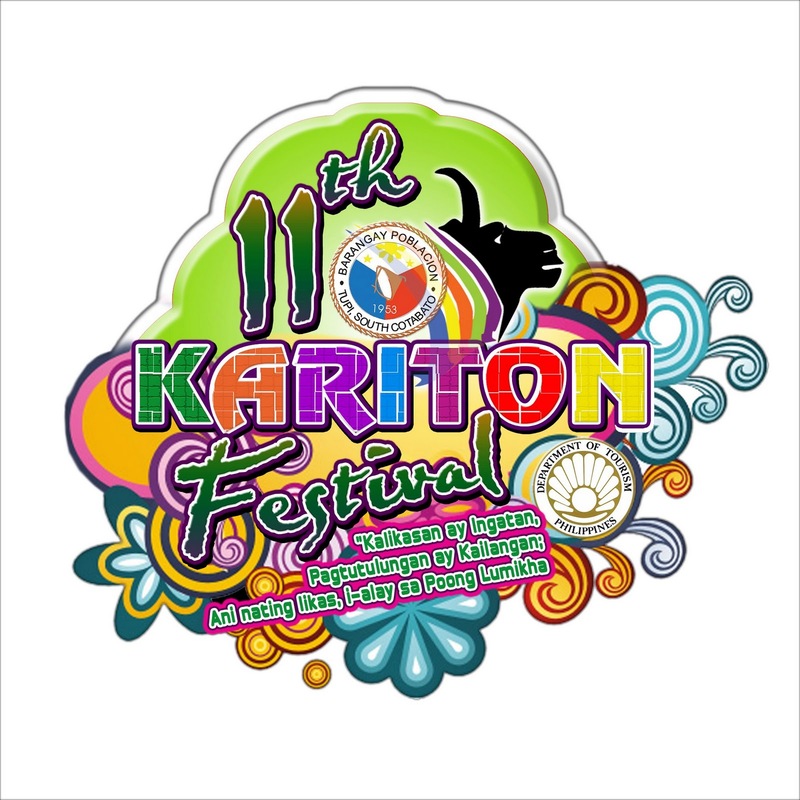 Kariton Festival is a celebration that aims to bring the young generation back to old times when Carabao-pulled carts locally known as kariton was the main means of transportation. It also commemorates the significance of kariton in the life of the people and the development of Tupi as a whole. The parade of carabao-pulled kariton loaded and adorned with agricultural products on October 5, 2011, Wednesday will highlight the 4-days celebration in which more than 20 entries will participate. Below is the schedule of activities. 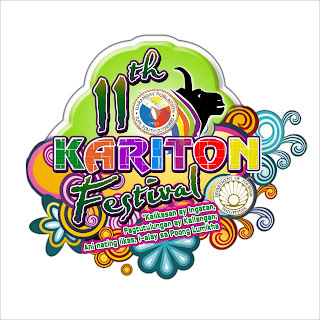 The 11th Kariton Festival of Barangay Poblacion, Tupi is supported by the local government of Tupi, the Department of Tourism and Yacap Party-list. This year's theme is, "Kalikasan ay Ingatan, Pagtutulungan ay Kailangan; Ani nating likas, i-alay sa Poong Lumikha".